LED lights are becoming increasingly popular for use as interior car lights and exterior car lights. With undless options of Halo lighs to LED strips for automotive lighting applications, we have you covered. There are a number of positives for using car lights in LED lighting form, such as the differents parts of interior and exterior. Read on to learn more. Efficiency. LEDs use a fraction of the amount of power that halogen, incandescent and halogen light bulbs do, making LED lights more ecofriendly, when they're used for residential and commercial lighting, and less of a drain on a car battery when used for automotive lighting. Safety. Studies have found that most vehicles driving on U.S. highways don't produce enough light to allow motorists to stop quickly when a hazard appears on the road at night. That's why many people are installing LED custom headlights on their vehicles to improve safety. Currently, outdated laws in the U.S. prevent the use of some of the more advanced car lights that are already used to improve safety in Europe, but there are hopes that the U.S. Department of Transportation may soon revise those codes, to allow for newer LED driving lights to be used on American roads. Longevity. LEDs last much longer than halogen lighting, making them very appealing for car interior and exterior lights, as well as for residential and commercial use. They also give off less heat, so they make a car's interior and the insides of homes and businesses more comfortable. Brightness Concerns. The brightness of the light produced by LED lights can be a benefit, but it can also be a drawback. Drivers have reported being blinded by oncoming LED lights, and many homeowners say that bright LED driving lights that shine into their homes are a nuisance. There was even a story in the news about a neighborhood in Brooklyn, New York, where residents were unable to sleep properly because the LED street lights were too bright. Cost. LED lights are the most expensive option, whether you're considering car lights, or interior or exterior commercial and residential lighting. As a result, they may not fit every driver, homeowner, or business owner's budget. As LED lighting technology continues to develop, it's likely that some of the current drawbacks, like intensity and cost will be diminished. Already, vehicle manufacturers, like Audi are developing new systems to help LED driving lights dim in response to surroundings, and these types of technologies can help to diminish glare for drivers and residents. Like all types of technology, costs tend to decline as popularity grows, and more manufacturers begin to offer products, increasing supply. It's likely that one day, the dark side of LEDs will be virtually absent. In other words, the future of LED lights is bright. What Are LED Headlight Bulbs? LED lamps are a newer form of automotive lighting that produces light without a filament but in a different way than halogen light bulbs. Inside of LED lamps are diodes, semiconductors that generate electrons and allow them to flow in one direction. When electrical current passes through the light, the electrons get excited, change their energy states, and give off light. Oracle Lighting has developed a special type of LED lights called surface mount diode or SMD LEDs. These lights generate illumination through very small chips that are mounted on a printed circuit board that is produced with computer-aided manufacturing technology. How Is LED Automotive Lighting Used? LED lighting is used for a wide range of applications. You can purchase LED headlights to replace halogen automotive lighting and LED fog lights, tail lights, and turn signal lamps. Oracle also offers LED strip lights, LEDs that are mounted on flexible housings that allow them to be installed virtually anywhere inside or outside of a vehicle. Because LEDs are very durable, they are also commonly used to produce truck lights and other off road lights. You'll find them in spotlights, emergency LED light bar accessories for first responders, and in LED light bars. In addition, halo Oracle lights are made with SMD LEDs. Brightness. LEDs shine more brightly than halogen, so they can be easily seen by day and at night. Longer Lifespan. LEDs can burn for 10,000 hours longer than halogen with an average lifespan of 60,000 hours. Variety. LED halo rings are very popular, so they are designed to fit many makes and models of vehicles. Color Effects. LED halos can be purchased in many different colors and can even shine in more than one color to produce very unique effects. Simplicity. LEDs have self-adhesive backings that allow for fast installation, and no external power supply is required. Strength. LEDs are more resistant to damage due to vibrations than halogen light bulbs. Temperature. LEDs give off very little heat. Lack of Smoothness. A halo light that features LEDs produces light through numerous emitters, and each one glows independently. As a result, the rings have a dotted appearance rather than a smooth, continuous halo of light. Your Make and Model. Depending on the type of vehicle that you have, your choices for halo rings may be limited. It's a good idea to begin your search for the right custom automotive lighting by using our search engine to see what's available for your particular vehicle. Your Budget. halogen light bulbs will be the most economical option if you're looking to upgrade your vehicle on a budget. LEDs will be the next most expensive option. Plasma lights are the priciest, but keep in mind that they will last for twice as long as halogen light bulbs. Your Installation Maintenance Preferences. halogen light bulbs will require more work for installation and will need to be replaced sooner than other types of halos. They are also more likely to become damaged and require premature replacement. LED halo headlight rings are easy to install and wear and tear resistant. Your Desired Results. If you want a true continuous ring look, you'll need to choose either halogen light bulbs or plasma rings. Of the two, plasma lights will give you brighter, more noticeable illumination. LED lights have a dotted appearance, but can treat you to unique color effects like two-color illumination and even Color Shifting technology that can shine in any color. If you need help deciding which type of halo headlights or other custom car lights are right for you, we'll be glad to assist you. You can contact our customer service department for answers to your questions about halo rings from Oracle Lighting, and to help you weight the options to decide which type is most likely to meet your needs. Do Your Headlights Work Adequately? Probably Not! It's not often that we find ourselves in complete and utter darkness on the road. Usually there are lights along the highway, illumination from buildings, and headlights from other vehicles brightening our path, along with our headlights. Under these conditions, your vehicle's headlights likely do at least a fairly decent job of brightening your path. But, if you did find yourself in a place where you really were in the dark, would your headlights be likely to give you a safe view of what's ahead? Sadly, the Automobile Club of Southern California’s Automotive Research Center (AAA) says, "No," based on findings of a recent study they performed. AAA recently tested the three most common types of headlight bulbs: halogens, HIDs, and LEDs, on a rural road where there was no other available illumination. The organization chose to test in complete darkness, to give the most accurate representation of what it would be like to drive on rural roads, which account for roughly 40 percent of all paved roads in the country. Across the board, all three types of headlight bulbs failed in the AAA testing. Halogen lights, the type found on 80 percent of all vehicles, received the lowest marks. Although high beams improved visibility by 28 percent, they were only adequate for safe driving at speeds of up to 48 miles per hour. With LED and HID headlights, testers could see 25 percent further, but the lighting was only sufficient at speeds of up to 55 miles per hour. In the official write-up for their study, AAA warned motorists that older headlights would provide even less visibility than the brand new ones tested in the study. This is because headlights suffer wear and tear over time. This diminishes their light output, while making them more likely to cause a blinding glare, which interferes with other drivers' ability to see. Dirt build-up also results in a lower light output. Clean your headlights regularly, even if you don't frequently wash your car. Have your headlights inspected by a professional mechanic at least once every year. Replace your factory headlights with custom headlights that are designed for higher performance. LED projector headlights, with clear lenses from a top brand like Oracle Lighting, will provide you with brighter illumination. Projector headlights have a smaller reflector than standard headlights, which allows for more intense light output. Clear lenses help improve the sharpness of the illumination, and can eliminate dark spots that reduce visibility. Projector headlights are an alternative to conventional or reflector headlights ; which were once the standard auto lighting offered by vehicle manufacturers. In a reflector headlight, there is a large U-shaped reflector used to direct light out of the head lamp and onto the road. Inside of projector headlights, there is a much smaller oval-shaped or elliptical reflector. While there are a lot of variations in the designs of vehicle front ends, nearly all of the new cars, trucks, and SUVs driving off the lots these days have one thing in common--projector headlights. Previously, projector headlights were usually only aftermarket headlights, made by companies like Oracle Lighting or PMLIT, but now, projector headlights are very common factory direct parts. Once you know a bit about projector headlights, it's easy to understand why. Safer Night Driving. Projector headlights are able to focus better on the road, which makes it easier to spot obstacles in the road and avoid accidents when traveling at night. Safer Driving in Inclement Weather. Projector beams will give you better visibility in rain and snow than standard reflective headlights. Less Glare. Even though projector headlights provide a more concentrated, intense beam of light, they are much less likely to blind drivers coming toward you on a dark road. More Chances for Customization. Projector headlights are smaller, giving automotive designers more room to add unique features to headlamp assemblies. Projector style headlights can also be customized with illuminated rings, called halo rings. Halo headlights give a car a stylish look, with colored or white lighting that is wired to the daytime running lights, parking lights, or turn signals. If your vehicle didn't come with projector headlights, it's still possible for you to enjoy their benefits. 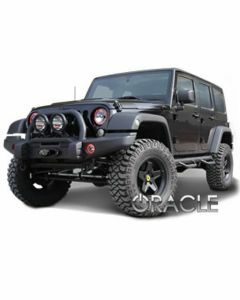 Oracle lights and PMLIT lights can be purchased to upgrade your current auto lighting. You can even purchase Oracle projector headlights with halo lights pre-installed, if you wish to give your car that super car look, while enjoying the benefits of more focused auto lighting. Colored Headlights: A Smart Choice for the Road? If you're considering making the switch to HID headlights, angel ring lights, or LED projector headlights, you’re going to find a huge selection of options available for your custom modifications. 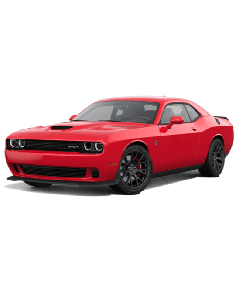 In addition to deciding which style is right for your vehicle, your tastes, and your budget, you'll need to select the color that you like the best. As you compare the options among custom automotive parts, it's important that you fully think through your choice of color. You can also purchase halo ring lights in colors like green, pink, orange, and red to create different effects. So why is it important to consider the color of your custom headlights? You only need to look at the news to see the answer. More and more drivers are complaining to local law enforcement agencies about custom headlamps that have a bluish tint. On a dark road, it can be easy to mistake the blue color of the headlights for the lights of a police vehicle, leading many motorists to mistakenly pull over on the side of the road. Warm colored headlights like purple, red, orange, or yellow can pose a hazard for drivers on the highways, as these lights are simply not as bright. This can reduce visibility and even make a car harder for oncoming motorists to spot. Safety and consideration for other drivers are just two of the reasons why you might want to consider skipping the blue auto lamps for road use. In many states, it's illegal to drive with anything other than traditional white cast headlamps. For example, in Tennessee, the first offense of driving with blue lights is a fine of more than $100. Each state has its own laws regarding the use of colored headlights on the road. As a result, it's a good idea to check with your state's Department of Motor Vehicles to find out what the law is in your area before buying any car accessories. If you'd like to be able to show off colored custom headlights in the parking lot or on the trail, but want to still be able to drive your car safely and legally on the roads, you can check out the ORACLE ColorSHIFT halo ring lights and headlights here at PMLIT.com. Replacing your factory headlights with LED headlights will allow you to enjoy brighter illumination that will outlast halogen lighting by thousands of hours. LED replacement headlights also consume less power and give off less heat than conventional auto lighting. When you choose to purchase your LED car headlights from us, you can be certain you're getting only the finest quality aftermarket headlights, as each install is tested by three technicians prior to shipping. We can custom build all types of LED lights for cars, including aftermarket tail lights with LED emitters. Amber reflectors are a standard feature in factory auto lighting, but the orange-yellow color can get in the way of custom headlamp design. PMLIT.com can remove the amber reflectors from almost any headlight assembly, and then restore the factory finish to have the unit looking like new. We can also upgrade or modify the lights to give you customized smoke colored headlights or black headlights after removing the amber reflectors. Switchback LED custom headlights are one of the latest innovations in replacement headlights, and you can add this new auto lighting technology to your vehicle, with the help of PMLIT.com. These custom auto lights include a disabled daytime running light, and ultra-bright turn signals, which are easier for people to spot, and far more stylish than conventional OEM auto lighting. Our custom designed switchback LEDs are engineered for optimal performance to give you the full effect. It's amazing what a little coat of paint can do! PMLIT.com can transform your vehicle by repainting the internal headlight bezels in a color that coordinates with your paint job. We typically use a two-color design and precisely match the color of your vehicle for the base or accent color. Then, we'll recommend a second color to give you the perfect effect, or incorporate a color that you choose into the finished design. The work will be completed in our state-of-the-art 8x8 downdraft paint booth, with the finest quality colored paints and a high gloss clear coat. Pair the brightest headlights with LED fog lights, and you'll instantly enhance the style and safety of your vehicle. At PMLIT.com, we can customize your vehicle with HID or LED fog lights in many different ways to give you the performance enhancing and aesthetic effects that you desire. We even offer fog lights that incorporate the same technology as projection headlights, to provide a more focused beam of light when visibility is low. Nothing takes a vehicle from basic to super car status faster than a set of halo headlights! Also known as angel eyes, these illuminated rings can be inserted into the headlamps of any vehicle to give it a high-end, luxury look. We can also replace dim factory direct angel eyes on vehicles like the E39 BMW 5-series. Because all of our halo headlights are custom designed, we can offer shapes beyond standard rings as well, to perfectly meet your customization needs. You've upgraded to projector headlights, but still aren't getting the clearly focused beam of light that you hoped for? The lenses on your projectors are likely to blame! Most vehicles today are equipped with translucent Fresnel lenses that soften the beam of light, diminishing performance. Our technicians can solve the problem quickly by replacing your Fresnel lenses with a clear lens that will give you a more focused, brighter beam of light, with clearly defined edges, and no dark spots. Daytime running lights, or DRLs, shine every time you turn your vehicle on, so enhancing their performance can make a big impact on the look of your vehicle. PMLIT.com can replace conventional OEM DRLs with the latest LED running lights to give your car a fresh, new look. Upgrading to LEDs will also make you more visible in construction zones, and to other motorists on the road, which can help to ensure your safety. We use only the finest quality LEDs when performing conversions, and will test your finished lights multiple times before shipping. Make your car stand out whenever you prepare to make a turn by upgrading to sequential turn signals! PMLIT.com can provide you with these dynamic, eye-catching rear turn signal lights, which flash in a unique pattern, rather than with a standard on-off blink. We can custom design sequential turn signals for nearly any make and model of vehicle. Contact us for more information about what's possible for your specific car, truck, or SUV. The light emitting diode, or LED, is a type of light source that is used for halo lights, headlights, taillights, custom headlights, projector headlights, and all types of auto lighting needs. There are many different colors available, including for use as tail lights. LEDs are known for using a fraction of the power that traditional incandescent bulbs use and their longevity as well. In addition, LEDs are vibration-resistant and highly durable. LEDs are particularly desirable for their ability to reach full brightness a full 200 milliseconds ahead of their incandescent counterparts. This split second difference may be what is needed to help avoid accidents as drivers approach your vehicle from behind. The speed, longevity, versatility, and very low power consumption have made LED bulbs arguably the most attractive auto lighting accessory available today. Other advantages of the LED include being smaller than incandescent, which means that they can be grouped together to provide ample light. Not only does it provide a built-in redundancy, but also allows for different patterns to be used underneath a clear or smoke lens. In fact, some manufacturers call these particular types of design patterns Euro LED tail lights. Essentially, you can order LED tail lights and have them fashioned as Euro tail lights for your vehicle. However, you also have other types of bulbs that are suited for taillights, such as incandescent used for Euro tail lights as well. By understanding the differences, you can order the right light system for your vehicle that use the famed Euro design. Plus, by using LED lights you get the variety you want that will last for many years of normal use. Be sure when you are ordering Euro tail lights that you specify the type of light bulb so that there is no confusion. For those who may be considering whether Euro or LED taillights are the best for your vehicle, understanding how they operate, along with their advantages can provide the right information for making the best decision about which will work best for your needs. First and foremost, the difference between each type is that “Euro” refers to a style of tail light assembly, while LED refers to the bulbs used. In fact, a Euro tail light can consist of LED bulbs. Also called Altezza, or clear tail lights, these are a very popular accessory, thanks to their stylish qualities. Unlike standard factory lights, which are rather plain, the Euro version uses either a chrome or black substrate, with smaller yellow or clear lights mixed with red underneath a clear or smoked outer lens for maximum style. Usually found on late model vehicles, Euro lights can be individualized with different tints, colors, and the arrangement of the bulbs themselves. With the innumerable combinations available, Euro lights offer many different choices even for a single vehicle. This is one reason why they are one of the most popular aftermarket auto accessories, thanks to the ability to personalize them to your own tastes. Euro lights can use any type of available bulb from incandescent to LED. LED driving lights and other LED automotive lighting provide a number of benefits. Not only are LED car bulbs more energy efficiency than other types of car lights, but they also have a much longer lifespan and are highly resistant to wear and tear. If you're thinking about purchasing LED bulbs for your vehicle, these tips will help you select the right ones and install them successfully. LED bulbs are polar, meaning that they will only work correctly if they are installed in the correct direction. If you install car LED bulbs and they don’t illuminate when you turn them on, remove the bulb, flip it so that it's facing the other direction, reinsert it, and try again. When you're installing small LED bulbs, double check the position of the pins. If they appear bent or don’t appear straight up and down, correct their position before insertion. A flickering action or no light could indicate that the pins are out of position. Reposition and try again. When you're purchasing car bulbs, it's important that you buy the right size. Consult your owner's manual to determine what size car bulbs your vehicle takes. Then, you can use our search engine to find the right bulbs for your car. You can also contact us for assistance. For best results, buy LED bulbs that are the same color as the lens for the light. This means that you'll want white bulbs for clear lenses, red bulbs for red lenses like those on the tail lights and brake lights, and amber lights for amber lenses like those on the turn signals. Some car lights are larger in size than conventional halogens. Before purchasing replacement LED car bulbs, be sure to check the dimensions to ensure a perfect fit. If you install LED bulbs in your turn signals and experience rapid flashing, you can add a resistor to your set-up to solve the problem. The resistor adds to the load of the LED bulbs so they flash at the appropriate rate. If you have a European-made vehicle, you may need CAN Bus LED bulbs. These car bulbs are designed to prevent error messages in cars that use Controller Area Network Bus computer systems. You can contact our customer service department to find out if you need CAN Bus car bulbs. Have more questions about LED headlight bulbs, custom headlights, or car interior lights? We'll be glad to assist you. Contact our team of automotive lighting experts for answers to your questions and customized advice. Our Questions and Answers section includes answers to the most asked questions. Please contact us if your question is not answered here, or if you want more information. These are strips made up of LED chips that are encased in a silicon material. LED strips are typically used for accent lighting or for various add on lights. These strips are commonly used for the interior and exterior of vehicles, and can be run from any 12v power source on the vehicle. These strips offer a dramatic effect on various areas of vehicles' exterior lines. LED strips are used to achieve the ever popular "Audi Style Daytime Running Light" effect, and provide ambient lighting both inside and outside the vehicle. Can LED Strips Be Cut to Make Them Shorter? Yes they can. Our single color LED strips may be cut at every third LED Chip. Our dual color LED strips cannot be cut. Please keep in mind, that if you cut the LED strips, this will void any and all warranties on the strips, and will also void our return/exchange policy on the item(s). We strongly recommend that you test the strips prior to making any changes or modifications. Do You Offer Various Colors for the LED Strips? We offer a very nice array of colors to choose from when selecting your LED Strips. Not all sizes are available in all colors. Please read the description for the LED Strip of your choice, and what colors are available for that size. Should you have any questions, or if you cannot find color information, please contact us for assistance. The race is always on among automakers to deliver new technology that will put them ahead of the pack. While much of the work done by engineers focuses on powertrains and fuel efficiency, they also keep an eye on aesthetics. Let’s face it, we all want our cars to look great and be noticed on the street, and headlights are a fantastic way to make that happen. Check in your rearview mirror while you are on the road at night, and now you are likely to see all kinds of different head-lamps twinkling back at you, from projector headlights to halo lights that come in a variety of different colors. In fact, if you take a trip into your local automotive parts store, you will see that the custom headlights section is growing at a rather rapid rate. As crazy as the US is about its cars, the fact of the matter is that they are at the back of the pack when it comes to headlight technology. This isn’t because the Europeans are delivering brighter and better products, it’s because the regulations concerning the use of headlights, and what type can be used is pretty restrictive in the United States. The times they are a changing, though, and auto lighting in this part of the world is becoming a little less tightly regulated. Among the more commonly used auto lamps on the market now are High Intensity Discharge (HID) lights, which are essentially lit by an arc instead of a filament. Automakers looking to make a bit of a splash, usually on higher end models, are now going with LED lights for cars. They are not the brightest on the market, but their flexibility of design and low power usage make them popular, although the cost to manufacture them is high, which is why luxury cars are usually where they end up. BMW says that their cars will feature laser lights in the future, although don’t expect a James Bond style light that will enable you to cut through walls and other solid objects. What they will be is bright and incredibly precise. Custom headlights now include projector lights and the ability of the lights to follow the curves of the road. This idea got its start back in the 80’s, when sealed beam headlights were the first to take beam shaping into account. They were not the most effective lights ever made, but they did, pardon the pun, shape the way for future technologies like projection lighting. The future of that technology is expected to be unveiled by Audi, with their Matrix Lighting, using LED lights that will eliminate the need for separate low and high beam settings. Those lights may not be seen stateside for a while, due to those pesky regulations that deem vehicles must have distinct low and high beam settings. One thing that is certain about the future of auto headlights is that it will be beyond the scope of the average modification enthusiast. There are still some kits available at your local car accessories store, most commonly HID Xenon lights that you can do yourself, but the real big innovations are going to be delivered by the automakers. To read more about headlights and their history in the automotive industry, please click here. You can find a great number of automotive lighting parts and car accessories on the PMLIT online catalog. PMLIT is the leader when it comes to providing the best in all types of auto lighting needs. PMLIT offers individual head-lamps as well as lighting systems that include fluorescent, Plasma, and LED. We offer auto lamps from the best manufacturers, including high quality companies such as Oracle-Lights. From the headlights to the taillights and all lights in-between, we offer a full range of lights for your vehicle. 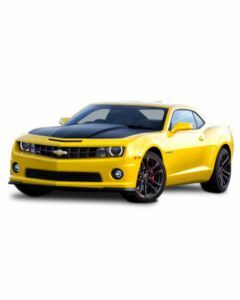 In addition to the standard automotive lights, there are also projector headlights, fog-lights, and even custom lighting modifications for your vehicle. Let PMLIT illuminate your life. At PMLIT.com, our customers' understanding and knowledge regarding our products is very important to us. We want to assure that our customers understand the products they are looking into, and are able to make wise choices when making their selections. Vehicle Lighting has become very much in demand, and more people are shopping for, and adding an array of lighting accents to their vehicles. We are here to offer the highest quality LED lighting alternatives at very reasonable prices. Copyright © 2003-2018 PMLIT. All rights reserved.